Congratulations to our C# Guru winner for May 2013! 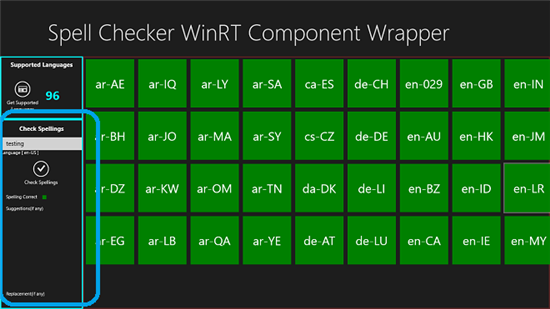 To find all the competitors for May (and more information about this monthly contest), see the Wiki article: TechNet Guru Awards, May 2013. 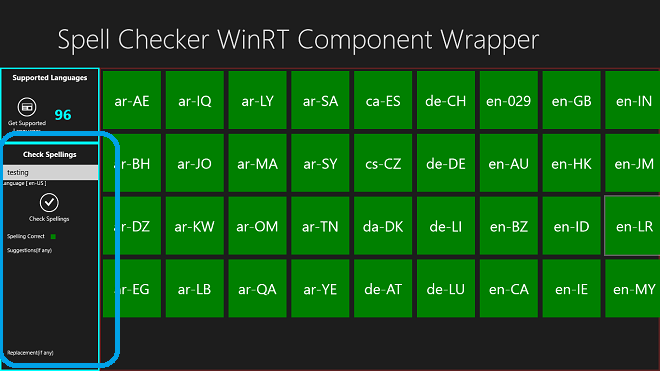 It implements the component wrapper over Win32 SpellChecker library. A wrapper that it can be easily used by caller of Windows Store App irrespective of Application Language and without worrying about C++ and COM intricacies. The functionality to check spellings is exposed by the ISpellCheckerFactory and ISpellChecker interface. Thanks again to Sachin for a great contribution! The <a href="http://www.kettic.com/…/spellchecker.shtml">Kettic Spell Checker component</a> performs the spell checking for rich or standard text editors to check the spelling in any other controls like Data Grid control, rich text editor control, and list view controls. Guru, is it for Windows RT?